The original article can be found online at https://doi.org/10.1007/s11748-019-01092-9. 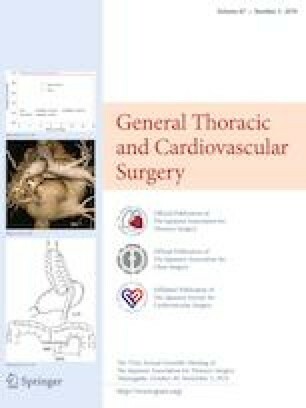 The article “New insight into tricuspid valve anatomy from 100 hearts to reappraise annuloplasty methodology”, written by Yoshito Sakon, Takashi Murakami, Hiromichi Fujii, Yosuke Takahashi, Akimasa Morisaki, Kokoro Yamane, Masahiko Ohsawa, Ayumi Shintani, Toshiko Seki, Toshihiko Shibata, was originally published electronically on the publisher’s internet portal (currently SpringerLink) on 25 February 2019 with open access. With the author(s)’ decision to step back from Open Choice, the copyright of the article changed on 26 March 2019 to © The Japanese Association for Thoracic Surgery 2019 and the article is forthwith distributed under the terms of copyright.